← For the (Literary) Detective in you! In this guest blog, Dr Oliver Tearle, a lecturer at the University of Loughborough and founder of the Interesting Literature blog (also on Twitter @InterestingLit), examines the history of dystopian literature. According to the Oxford English Dictionary, the noun ‘dystopia’ (defined as ‘an imaginary place or condition in which everything is as bad as possible’) first turns up in print in 1952, and ‘dystopian’ (in the word’s most common sense, namely ‘of or pertaining to a dystopia’) not until a decade later. But the first citation for the word ‘dystopian’ in the sense of ‘one who advocates or describes a dystopia’ comes from a speech made in the House of Commons by the Victorian philosopher, John Stuart Mill in 1868. ‘Dystopian’, then, was a Victorian coinage. But recently the noun ‘dystopia’ has been traced back to 1747 where it is spelled ‘dustopia’ but is used in clear contrast to ‘utopia’. In short, the whole history of dystopias and the dystopian is still being unravelled and explored. This is particularly true of dystopian literature. Dystopian fiction has perhaps never been more popular than it is today. In the last decade books and films such as The Hunger Games, The Road, and V for Vendetta have enjoyed huge success, while twentieth-century classics like Brave New World, 1984, Fahrenheit 451, and The Handmaid’s Tale are regularly set as GCSE and A-Level texts in UK schools. Based on this, it would be easy to think that the subgenre of dystopian fiction was less than a century old. But as the word’s complex history reveals, dystopia had entered literature long before Aldous Huxley and George Orwell were writing. Dystopias are the opposite of utopias – if utopian fiction imagines the best possible world, then dystopian fiction presents us with the worst-case scenario. All literary utopias can be traced back to 1516 and Thomas More’s work of that name, which coined the word ‘utopia’ as a Greek pun meaning both ‘good place’ (eu-topos) and ‘no place’ (u-topos). But it was in the nineteenth century that utopian literature arose as a popular literary form for novelists. Perhaps inevitably, not everyone embraced the optimism which utopian fiction promised: could you build an ideal world, as set out by More in his Utopia? Thus arose dystopian fiction as an alternative – and, to its adherents and practitioners, an altogether more realistic – branch of speculative literature. Commentators sometimes simplify this development by saying that, whilst the nineteenth century was dominated by utopian visions of a better future, the twentieth century replaced these overly optimistic will-o’-the-wisps with dystopian versions of a society in the grip of state control and curtailment of individual freedoms. But this is too simple. Although it’s true that the later nineteenth century gave rise to bestselling utopian classics such as Edward Bellamy’s Looking Backward (1888), which predicted garden city planning and credit cards, and William Morris’s News from Nowhere(1890), there was a chorus of more pessimistic voices being raised by this time. One such voice belonged to Ignatius Donnelly, an American writer whose novel Caesar’s Column, published the same year as Morris’s utopian romance, sold 250,000 copies. And Morris’s novel itself was in part a response to such dystopian, or partly dystopian, works as Richard Jefferies’ After London (1885) and Samuel Butler’s Erewhon (1872). 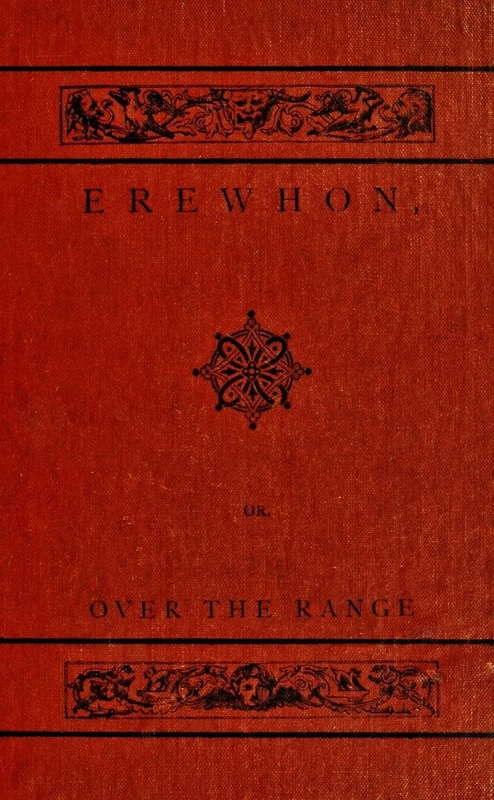 Indeed, Erewhon was an important development in speculative fiction. It appeared the same year as a landmark in realist fiction, George Eliot’s Middlemarch, and although Erewhon is a work of fantasy rather than realism, the two novels actually share a number of key themes: scientific and technological progress; attitudes to banking and finance; and the role of religion in society. And, like Middlemarch, Butler’s novel weighs up both sides of the issues he discusses and seldom passes explicit judgments on them. Although this novel is often described as utopian fiction, Butler gently satirises every aspect of the utopian world he describes, a world which the narrator accesses after travelling into the outback in New Zealand. In this world – called Erewhon, which is almost ‘nowhere’ (as in utopia, or no-place) backwards – machines have been abolished because they were evolving too quickly and, the Erewhonian people feared, would one day supersede human beings as the dominant force in the world. Although Erewhon is not an out-and-out dystopian novel, others which followed it offered a more starkly negative view of human progress. It has been claimed that dystopian fiction properly began with Jack London’s 1908 novel The Iron Heel, and that it only really rose up towards the middle of the twentieth century with such works as Brave New World and 1984. But the genre had a rich life prior to this, encompassing not only Erewhon but novels such as Anthony Trollope’s The Fixed Period (1882), Walter Besant’s The Revolt of Man (1882), and Margaret Oliphant’s short story ‘The Land of Darkness’ (1887), which is set in a hell modelled on Dante’s Infernobut very much shaped by nineteenth-century developments in technology, industry, and urbanisation. Orwell acknowledged the influence of such earlier works as Erewhon and The Iron Heel on his own work, while Oliphant’s story has been described as being closer to Orwell than to Dante. 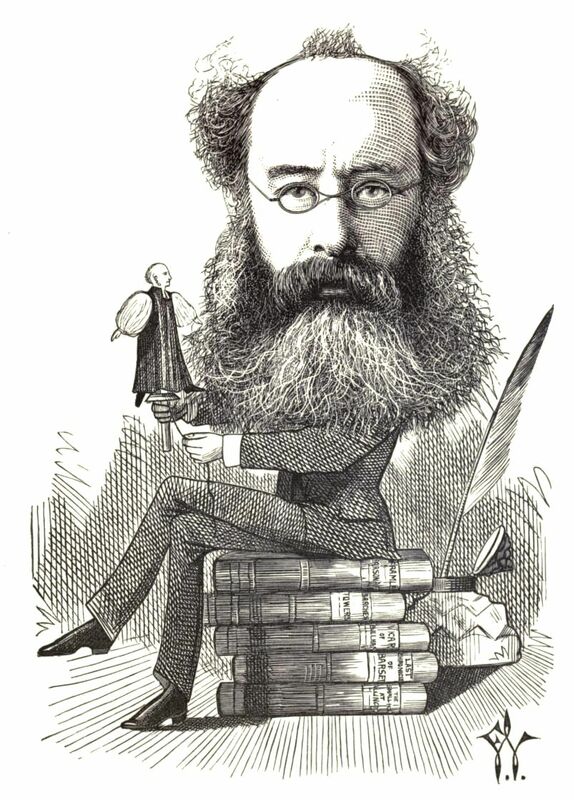 Perhaps the most curious of all the nineteenth-century forerunners to the modern dystopian novel is that by Anthony Trollope (caricature, left). Published in 1882, the year of his death, The Fixed Period is set in the year 1980 on the fictional island republic of Britannula. The narrator, the unsubtly named John Neverbend, is president of the island and is trying to pass a bill which will enforce compulsory euthanasia for everyone upon reaching the age of 67. David Lodge recently championed this neglected novel in a piece for The Guardian: http://www.theguardian.com/books/2012/dec/14/david-lodge-rereading-anthony-trollope. In fact, novelists better known for writing more realist works of fiction often contributed to this burgeoning genre. E. M. Forster, celebrated for novels like Howards End and A Passage to India, wrote a short story in 1909 titled ‘The Machine Stops’, set in a dystopian future world in which technology has become the all-powerful force in society, as Butler in Erewhon feared it would. This bleak cautionary tale predicts such modern phenomena as the internet, videoconferencing, and instant messaging. It is a work of fiction but, like Orwell’s 1984, also carries the ring of prophecy. At its core, dystopian fiction engages with some of the key cultural, moral, and scientific questions of the late nineteenth and early twentieth century, many of which we are still asking today: the role of science in the modern world, the moral responsibility we have when developing science and technology, attitudes to euthanasia, humanity’s responsibility for the environment, the distribution of wealth, and the role of religion in a secular society. Dystopian works written over a hundred years ago show our own society reflected back to us – we see our world eerily foreshadowed, and already being warned against. I’ve recently become interested in recovering this lost, or at least semi-forgotten, tradition, in an attempt to redress the common assumption that dystopian fiction only really began in the early to mid-twentieth century. 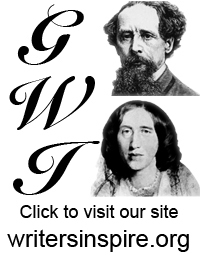 This endeavour goes hand-in-hand with another online enterprise, my blog Interesting Literature: A Library of Literary Interestingness, which I founded in 2012 as an attempt to find – and communicate – the obscure and neglected aspects of literary history. And dystopian fiction abounds in such assumptions and misconceptions which belie the more interesting complexity of the genre’s formation: for instance, the terms ‘thought crime’ and ‘thought police’, both made popular by George Orwell in 1984, actually predated his novel and are first found in books from 1934 about Japanese politics. What Orwell set down in the late 1940s was already in the air before, but to a greater and more specific degree than we had perhaps realised. As ever, other writers had got there first. 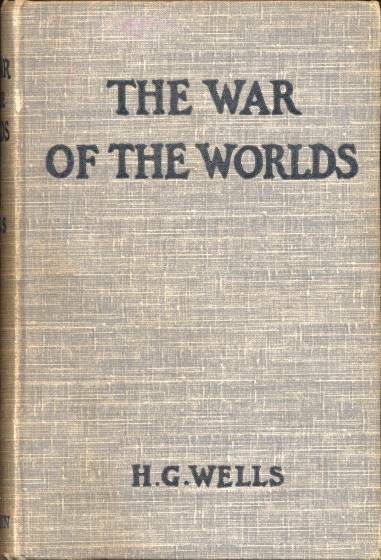 But the most important thing to address about dystopian literature is the little-known and little-studied prehistory of the genre, a prehistory that involves classic Victorian realist novelists such as Trollope and George Eliot, science-fiction pioneers like H. G. Wells, and important twentieth-century writers such as E. M. Forster. And although they are often bleak warnings about a future society, the society we have inherited, they are nevertheless a joy to discover, and to read. This entry was posted in Uncategorized and tagged dystopia, Huxley, InterestingLit, More, Oliver Tearle, Orwell, Trollope, utopia, utopian literature, writers. Bookmark the permalink. A wonderful post, thank you for the many suggestions. Some of that of which you write, I have already read. And some of it was not known to me. To H.G. Wells I would make a comment. In his novel “The Time Machine” but he also draws a picture of a dystopian world. The world of the Eloi and the Morlocks first appears as Utopia, but it is just the opposite. Thanks for commenting! I agree completely about The Time Machine – I’ve always loved the twist in that novella, when the Time Traveller realises the grisly truth about the Morlocks. I’m just working on the Oliphant story at the moment, ‘The Land of Darkness’, from 1887, and it’s odd – the scenes of semi-wild men slaving away in the underground mines put me in mind of Wells’s Morlocks in their underground world of machinery and cannibalism. Not sure if there was a direct connection, but Oliphant’s story is well worth reading. It’s reprinted in A Beleaguered City, edited by Jenni Calder with some of her other short works. Isle of Pines by the republican Henry Neville was published 1668. More dystopian that utopian, the story has a ship of Dutch sailors discover the 3rd generation descendants of the few passengers of an English shipwreck – George Pines and four women. The abundance of the island has provided for the castaways without the need for work. This together with the mixture of religious regulation and open polygamy practised by the the Grandfather have resulted in a primitive and divided society. Written in the form of a letter, it was originally presented and received as a true account of the grandson of the central character – the fictional George Pines. This relationship is interesting, as the grandfather of the real hidden author is Sir Henry Neville – a recent candidate as the hidden author of Shakespeare’s works. Thanks for this, Bruce, which I had no idea about. I’ve made a note of it and will track it down – it’s good to hear about even earlier dystopias and this sounds fascinating. It sounds like a lot of seventeenth-century texts which, although fictional, are presented as factual – Behn’s Oroonoko springs to mind, too. Food for thought in relation to my own project – thanks! Thank you Oliver. It’s a fascinating post. 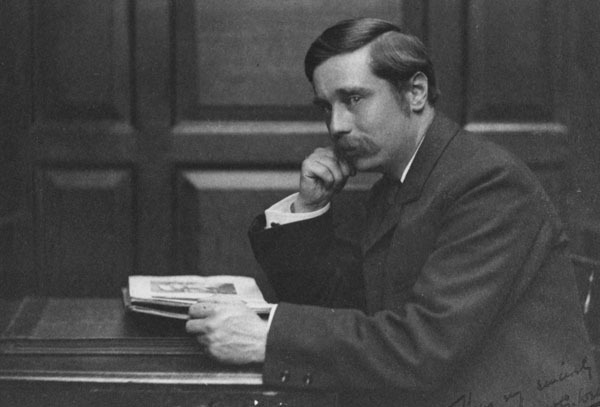 Henry Neville was an influential writer. This article references “The Ideological Origins of the American Revolution” (Bernard Bailyn) to suggest that he was one of three 17thC republicans who were most influential in the thinking leading up to the War of Independence (plus Algernon Sidney, James Harrington). I’ve also read that his writing influenced directly Jefferson’s drafting of the Declaration of Independence, though I haven’t been able to verify that as yet. A very informative and engaging post, yet no mention is made of Yevgeni Zamyatin’s WE and Jose Saramago’s BLINDNESS. Nevertheless, I am grateful for the information here. I love this article- super interesting. I love articles that make me feel intelligent rather than simply only amused. Even since experiencing “1984” and “Brave New World”, for really experiencing is what reading these dystopian type novels are, I’ve found this genre quite fascinating. It’s great to read its history. Very informative post. Thank you! Dystopia and dystopian literature seems so relevant to our times somehow. An Interesting history of dystopian literature! ‘At its core, dystopian fiction engages with some of the key cultural, moral, and scientific questions of the late nineteenth and early twentieth century, many of which we are still asking today: the role of science in the modern world, the moral responsibility we have when developing science and technology, attitudes to euthanasia, humanity’s responsibility for the environment, the distribution of wealth, and the role of religion in a secular society. ‘ Yes! Exactly the topics I look at in my own novel projects, precisely because I find them such important themes to discuss, especially in today’s society.